If you have been following me and my blog for a while you should know that I used to be obsessed with eyeshadow palettes, there wasn't a month when I didn't get a new one or two, LOL! But in the last few months my obsession has definitely decreased because, let's be honest, how many eyeshadows does one person need? I have way too many and there's not a chance I will finish a full palette anytime soon, so I have been trying to be more sensible with my makeup purchases. But every now and then comes a new palette that steals my heart immediately and I just have to have it. That's what happened with the new Anastasia Beverly Hills Soft Glam palette which was released about 2 weeks ago. I was not tempted by her two previous palettes, Prism and Subculture, partly because of the many bad reviews they were getting but also because of the shades selection as I knew I wouldn't use them often enough to justify the purchases. But it was a completely different story with the Soft Glam palette as it looked like my perfect everyday palette (I don't know about you but I love when palette has matte white/cream and black shades), and it would complement the Modern Renaissance palette perfectly which is one of my favourite palettes (check my three eye looks created with it). I bought the Soft Glam palette from the ABH UK website on the day of its release but if you want to wait with your purchase the palette will be available in many other retailers (like Cult Beauty, Beauty Bay, Feel Unique) at the beginning of March I believe. 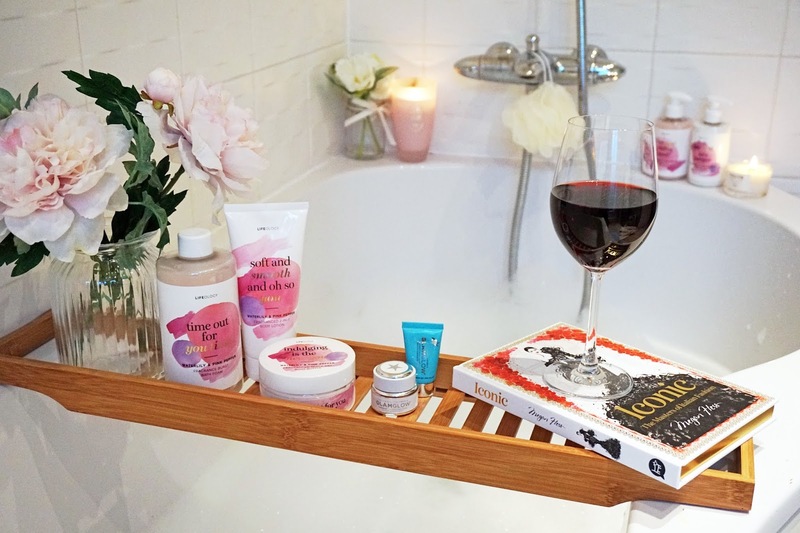 It costs £43. 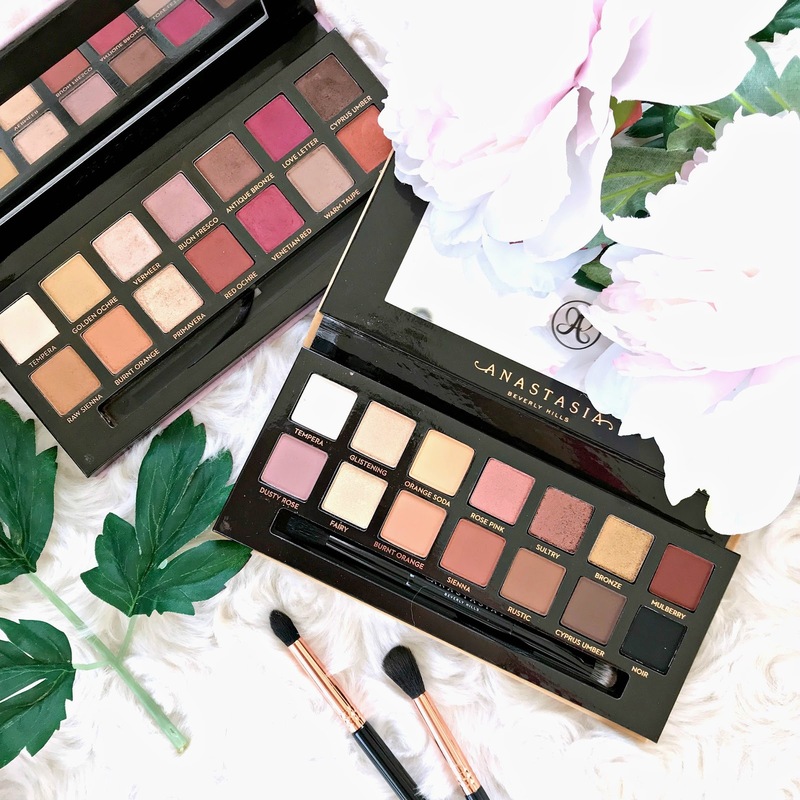 Juts like the Modern Renaissance palette, Soft Glam comes with 14 eyeshadows housed in a pretty, velour packaging with a mirror and dual sided brush. There are 5 shimmery shades, 8 mattes and one satin (Tempera) which is the perfect brow bone/inner corner highlighting shade for me. 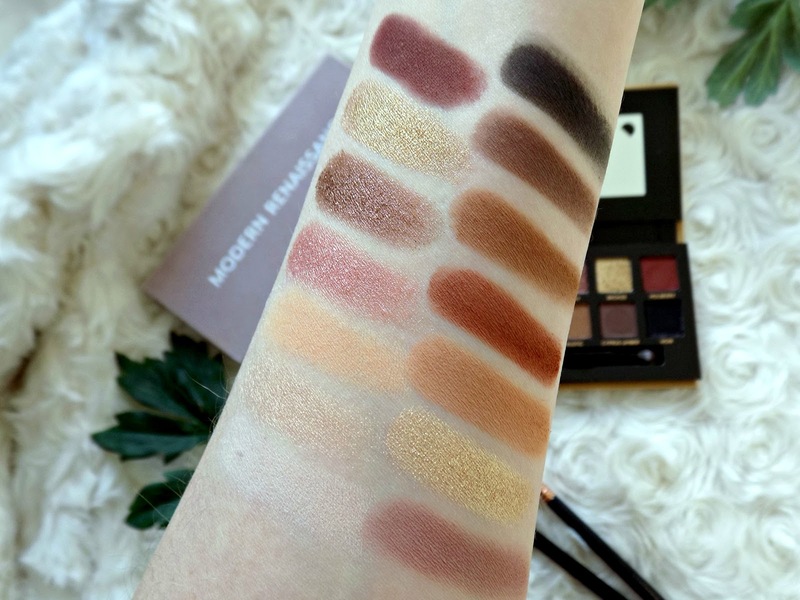 When it comes to the eyeshadows formula I think it's pretty similar to those from Modern Renaissance palette, so if you loved that one chances are you will love Soft Glam as well. Eyeshadows are very pigmented, super soft so you don't want to dig your brushes in them as all you need to do is gently tap the brush to get eyeshadow on it, especially the mattes. But be warned, you will get some fallout, especially with the darker shades and those foiled-like, during application. Once on the lids they stay put though and I've not experience fallout nor fading or creasing during the day. Even though I haven't had the palette for a long time I have used every shade from the palette at least once and because I do know my eyeshadows I have a pretty good idea what's the quality like. As I mentioned there are 5 shimmery shades within the palette, 3 of them (Glistening, Fairy and Rose Pink) are your usual metallics, with the Glistening being a beautiful golden peachy duo-chrome. Sultry and Bronze are more of a foiled metal formula, they're more chunky but buttery soft and definitely give the prettiest colour and finish payoff when applied with a finger or stiff brush. My personal preference is to apply any shimmery/metallic shades with my finger anyway as it give them the smoothest appearance and best colour payoff. The mattes in the palette are dreamy, very highly pigmented, silky soft and they blend effortlessly. They don't loose their intensity when applied one on top of the other, don't muddle up together and don't get patchy during the blending process. My only tip with these matte shades is to use only a tiny bit at the time and built the intensity slowly because of the high pigment in them. Overall, the quality of the eyeshadows in this palette hasn't disappointed me, if you're not familiar with the formula of ABH eyeshadows you might need to learn to work with it first due to the high pigmentation and softness but I can't say anything bad about it apart from the issue of slight fallout. I've seen many people being disappointed with the Soft Glam palette having quite a few of the same or similar shades that are already in the Modern Renaissance palette which I'm not bothered by but I totally understand why that fact would stop others from buying the new palette. So both palettes have shade Tempera which is an off white satin shade, in my opinion absolutely an essential in any palette so for me it's not a problem. Then we have Burnt Orange in both palettes, beautiful warm crease/transition shade, again something we often reach for so probably one of the shades we could easily hit pan on. Next there is Cyprus Umber which is a repeat from Modern Renaissance palette, I find the version in Soft Glam ever so slightly cooler in tone but essentially is the shame shade. In this case I wish it was a different shade, maybe something more purple as it would go very well with the pinks and golds. Buon Fresco and Dusty Rose although not exactly the same they're very similar so that's another shade that could be a bit different in the Soft Glam palette. 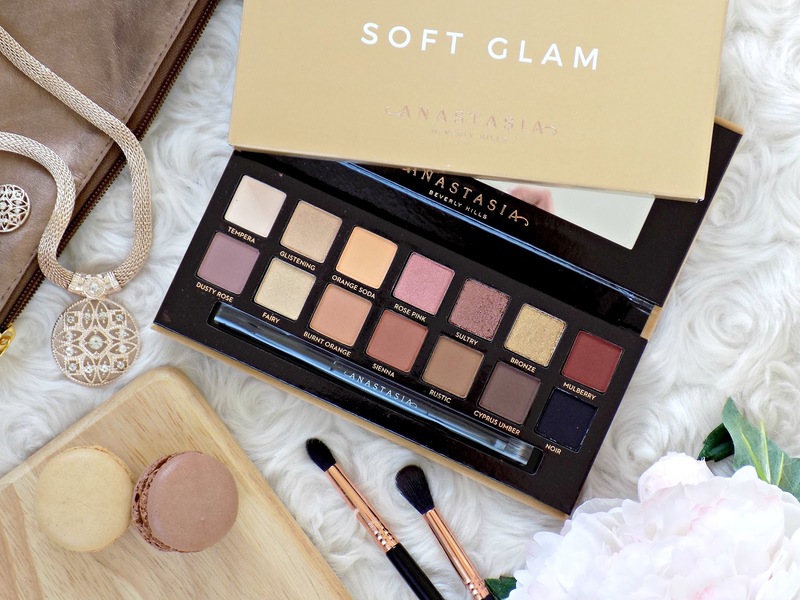 As for the Soft Glam palette itself, there are three shades that are basically different tones of gold, and even though they do differ on the eyes it would probably be more appealing to wider selection of people if one of them was a totally different colour. Other then that I am pretty happy with the shades selection, quality and performance of the eyeshadows. 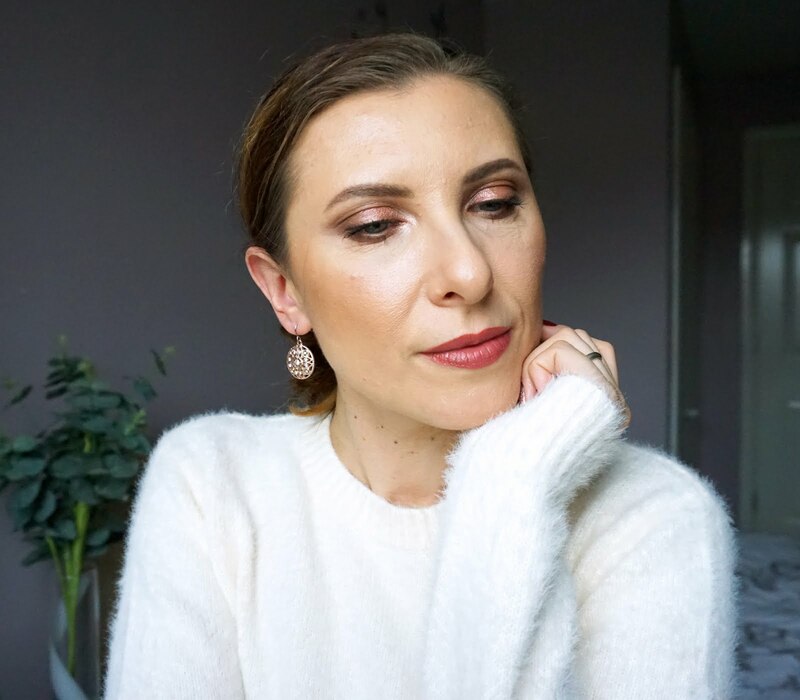 I'm quite sure it will be my 'go to' palette for the foreseeable future as you can create a quick everyday eye makeup, one eyeshadow look or something more glam or sultry and smokey. I absolutely love that in one palette I have white and black shade and also a nice selection of matte warm and cooler tones for my crease. Now, do you need this palette? No, you don't. I'm sure you have similar shades in other palettes or maybe in single eyeshadows. If you have Modern Renaissance palette you might want to skip Soft Glam as well but if you're like me and find the pinks in the latter palette a bit out there for work or just simple everyday eye looks and enjoy working with ABH eyeshadows then I think you would love Soft Glam palette. So, buy or not to buy? 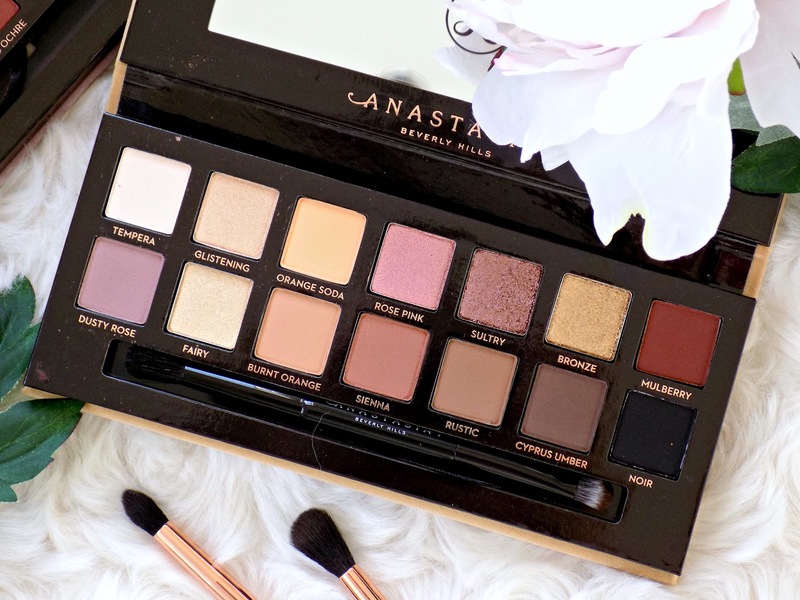 Did you get the new ABH palette? Are you tempted by it? Disclaimer: Some of the links might be affiliated as I use Skimlinks on my site, check out my Disclosure page for more details.